Astrophysics uses the already understood theories of physics (the study of matter and energy) to describe astronomical (universal) phenomena or events. 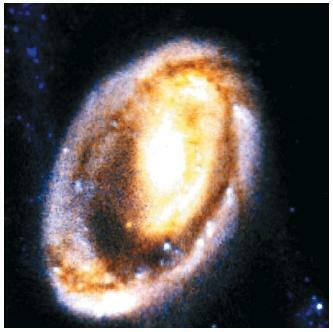 Astrophysicists try to understand the processes that cause our universe and everything in it to behave the way it does. For thousands of years, humans observed phenomena in the sky, but had no physical explanation for what they saw. Scientists in the twentieth century, however, have been able to explain many astronomical phenomena in terms of detailed physical theories, relating them to the same chemistry and physics at work in our everyday lives. Whereas experiments in many other scientific fields can be performed under controlled conditions in a laboratory, astrophysical experiments cannot: the energies and distances involved are simply too great. Even though conditions vary greatly throughout the universe, astrophysicists can observe events in the sky and then develop theories about those events based on the laws that govern our day-to-day experiences on Earth. It is common belief that the laws of physics are consistent throughout the universe. The first astrophysical concept or law to be recognized was the law of gravity. Although it is a very weak force compared to the other fundamental forces of nature, gravity is the dominant factor determining the structure and the fate of the universe. The force of gravity acted over vast distances of space to bring together large structures, such as galaxies, and smaller ones, such as stars and planets. However, scientists generally hold the view that the understanding of the interaction and behavior of atoms marks the true beginning of astrophysics. Indeed, even such enormous objects as stars are governed by the action of atoms. Recent advances in space instrumentation have allowed astrophysicists to observe astronomical phenomena that previously had been too far away to see. Large space-based observatories, such as the Hubble Space Telescope, continually lead to major advances in astrophysics by exploring parts of the universe with a sensitivity never before imagined. Space probes, such as the Voyagers, which visited most of the outer planets of our solar system, have provided detailed measurements of the physical environment throughout our solar system. Spectroscopes, optical devices that analyze electromagnetic radiation (energy in the form of waves or particles), have enabled astrophysicists to determine the chemical composition of distant stars or galaxies.